This article aims to discuss Freirean critical perspective of education, power relations and liberation/freedom. Hence, it intends to describe Human Rights, especially focused on a counter-hegemonic discourse, and to connect with these initial delimitations. Based on the standpoint theory and situated knowledge in a dialogue with the Pedagogy of the Oppressed (Freire, 2014b; 2005), I propose to investigate the relations between knowledge and power relations. 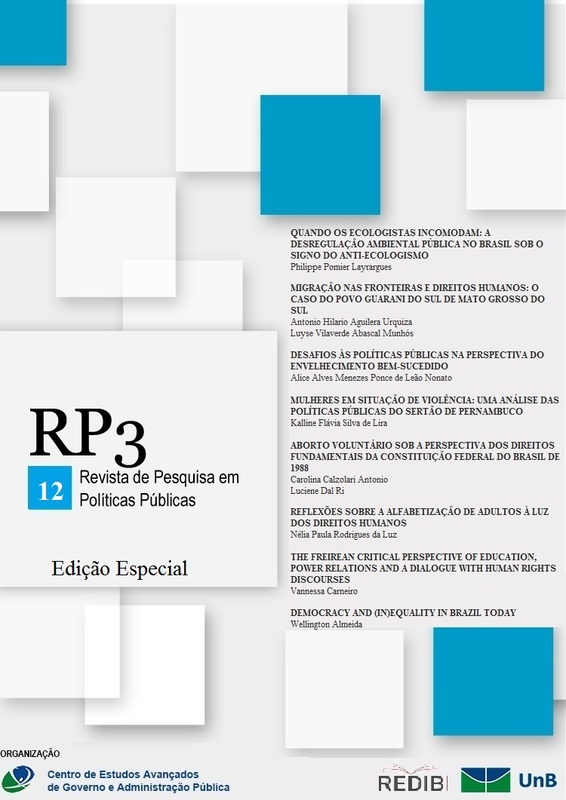 In addition, supported by the Freirean epistemologies, such as the Pedagogy of the Oppressed and the Pedagogy for Liberation (Freire, 2003), I try to analyze the liberatory education process and education as a political act. Notwithstanding, my main concern here is to what extent Freirean critical perspective of education understands power-relation structures and dialogues with Human Rights discourses. As I will argue, the world is not an abstract and closed narrative, and knowledge, which is not neutral also (as well as education), can be considered a powerful tool in the liberatory education process, since it questions dominant frameworks and reinforces struggles to confront (and dispute) power relations.